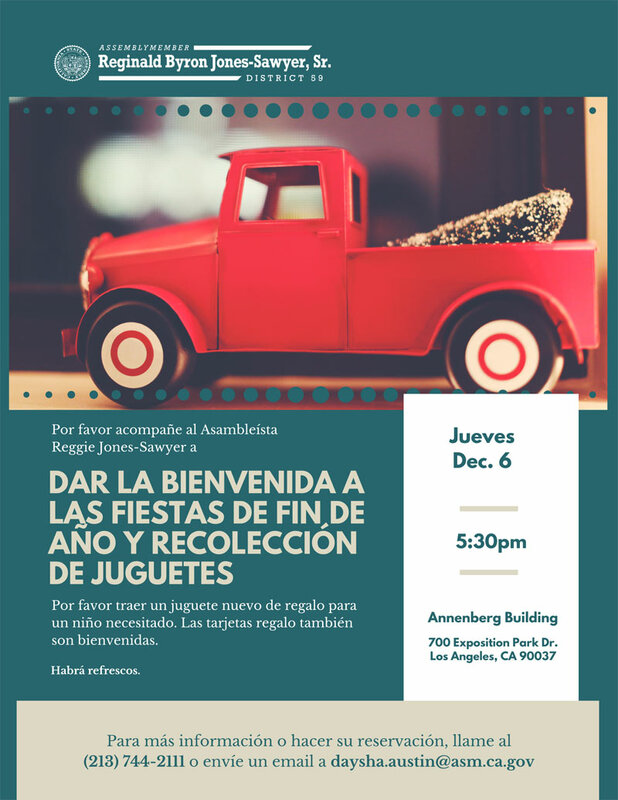 Join Assemblymember Reggie Jones-Sawyer for this event. 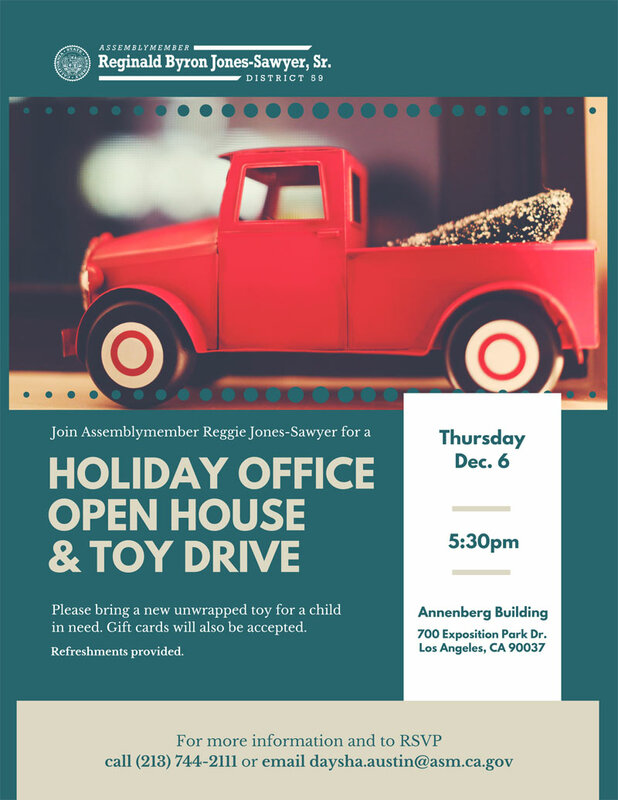 Bring a new unwrapped toy for a child in need. Gift cards will also be accepted. Refreshments provided.